The Netherlands Institute for Sound and Vision has released its new White Paper, Towards a New Audiovisual Think Tank for Audiovisual Archivists and Cultural Heritage Professionals. The White Paper, the first effort from a new ‘AV Think Tank’ on audiovisual archiving initiated by Sound and Vision, aims to facilitate stakeholders active in the preservation of audiovisual heritage to identify their strategic priorities over the coming decade. The paper also puts forward 10 recommendations for collective action to address these priorities. 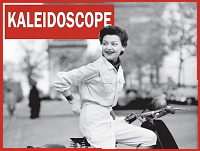 Written by Peter B. Kaufman of Intelligent Television and MIT, the White Paper is the result of months of open conversation with leading experts in the field representing various positions, archives, and cultural heritage institutions. The White Paper was publicly presented at the FIAT/IFTA 2017 World Conference in October in Mexico City, and input from many of the delegates was incorporated. The White Paper is meant to start a conversation with the audiovisual archiving and cultural heritage communities and within the AV Think Tank itself. It addresses the current context of the work that audiovisual archivists and cultural heritage professionals do and many of the challenges they face. It puts forth ten recommendations as strategic priorities for the coming ten years around which action, research and development, and resources could be organised. Each recommendation is accompanied by a timeline of first collective actions to take. The AV Think Tank is committed to following up on these recommendations through a series of activities. The AV Think Tank is creating task forces and working groups focused on these issues. These groups will conduct further research and connect with other relevant stakeholder groups; lay the groundwork for policy and practice recommendations through the creation of handbooks, strategy papers, and other publications; and develop actions plans that connect directly to the interests of AV archivists and cultural heritage professionals. Through these activities, this group of international experts, in consultation with the wider community, is working to articulate an international research and action agenda for our shared strategic priorities for the next ten years. The White Paper can downloaded directly as PDF here. To join the conversation about our shared strategic priorities, follow and comment on the White Paper on Medium here. The AV Think Tank invites comment from and conversation with anyone interested in the present and future of our shared moving image cultural heritage. 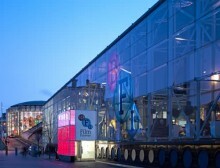 MediaArea and the British Film Institute are pleased to announce the third No Time to Wait conference, a free two-day symposium focused on open media, open standards, and digital audiovisual preservation hosted by the British Film Institute, who are about to begin a 5 year digitisation of obsolete videotape formats, preserving to open formats. Programmed by professionals working in the field, the annual AMIA Conference is the largest gathering of motion picture and recorded sound archivists and interested professionals. More than 550 people from around the world, interested in the preservation and use of moving image materials, meet every year to share information and work together. The 2017 edition of the AMIA Conference will be held on 29 November - 2 December 2017 in New Orleans. This is the seventh in a series of interviews with people using MediaConch within their institutions. 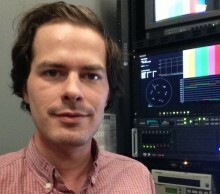 Brendan is AudioVisual Digitization Technician at the University of California. He is using MediaConch both on the raw XDCAM captures, to make sure that they’re appropriate inputs to the ingest script, and on the outputs, to make sure the script is functioning correctly. This is the sixth in a series of interviews with people using MediaConch within their institutions. 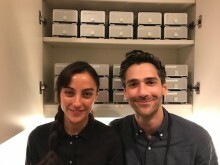 Ben and Geneve work in the Audio and Moving Image Preservation Unit at at New York Public Library. MediaConch is an integral part of the Quality Control workflow to reformat audio and moving image research collections and specific policies have been created to this purpose.